Home › Practical Jokes › How many devices does your system support? How many devices does your system support? 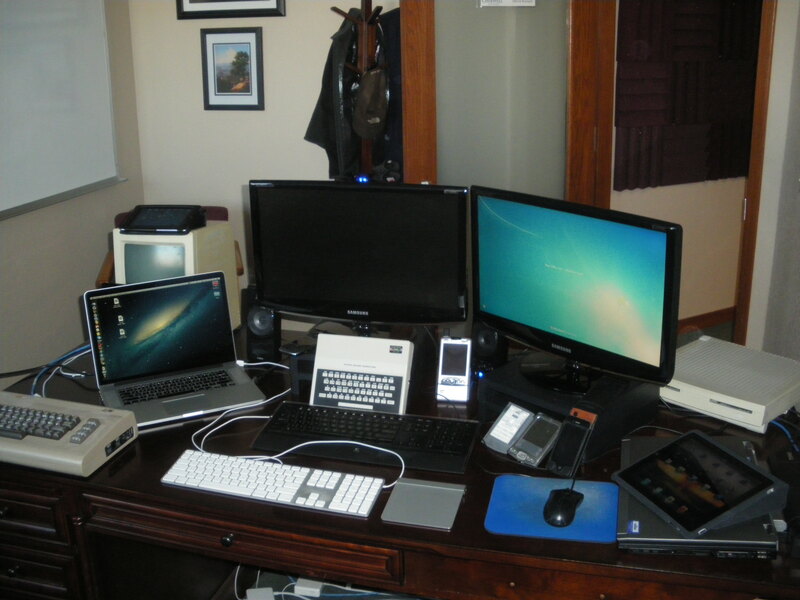 My friend and co-worker David is responsible for building mobile applications, so his desk tends to be a bit busy. Aside from his Windows laptop and his Mac for OSX development, he tends to have several tablets and phones on his desk. Bonus points to anyone who can name all of the devices on the desk! ‹ How many E’s in Scrabble?